My oldest daughter, Lily, had Nibblet out to play the other day. 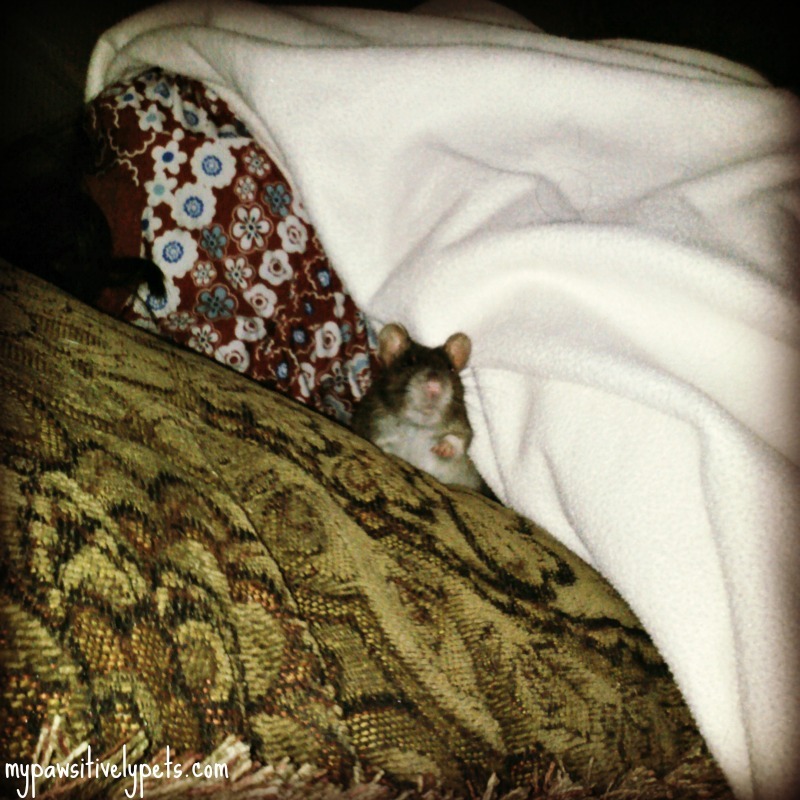 She fell asleep on the couch and when I went to go check on them, I found Nibblet curled up sleeping next to her under the blanket. It was so cute! Of course, Nibblet had to wake up and poke her head out when I tried to get some pictures. Still cute all the same. It's nap time - why are you taking pictures? Now I'm awake so you're gonna have to pet me! Seriously though, when are you going to stop taking pics and pet me! 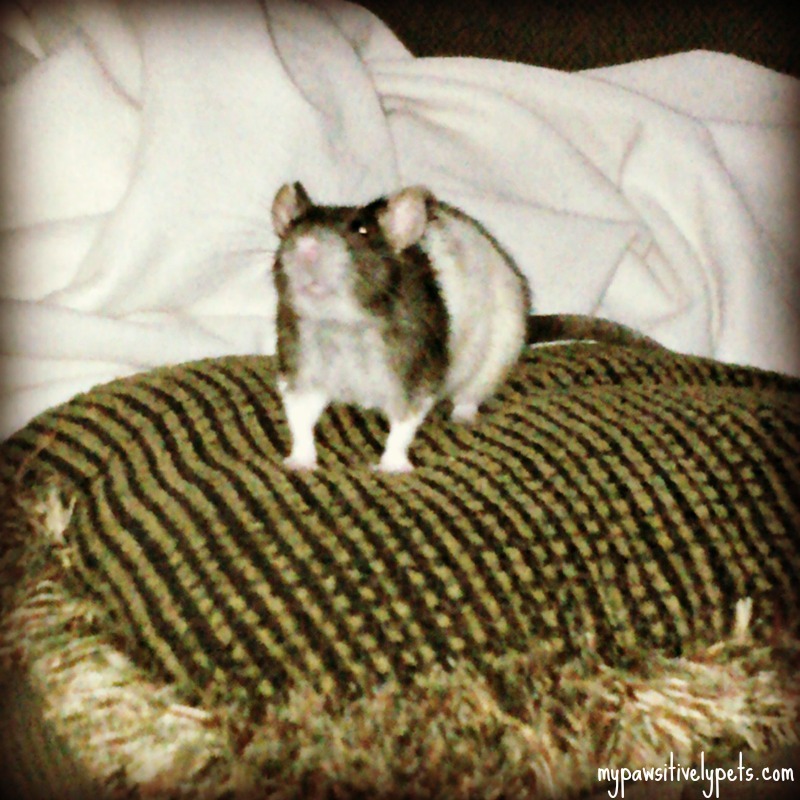 Happy Wordless Wednesday! If you missed yesterday's post, I announced my new blog - Squeeable.com - head on over and check it out! 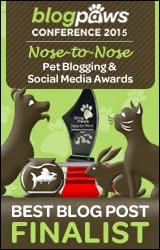 Thanks to BlogPaws for hosting the Wordless Wednesday Blog Hop! Aw, Niblet looks like a sweet rat. He's very cute! :-) Niblet is too darn cute!! Happy Wednesday to all of you!!! Rats are so cute, thanks for sharing i miss our two. The flashy beast always gets in the way of nap time Nibblet. Hide under the duvet pal. Have a wonderful Wednesday. Aw, that is tooo sweet!!! I hate when they wake up when you are trying to take a cute picture! Have a great day. Shiner usually doesn't wake up, but Nibblet is very curious. Too funny and Too cute. Have a wonderful Wednesday! Aaaaahhhh!!!! 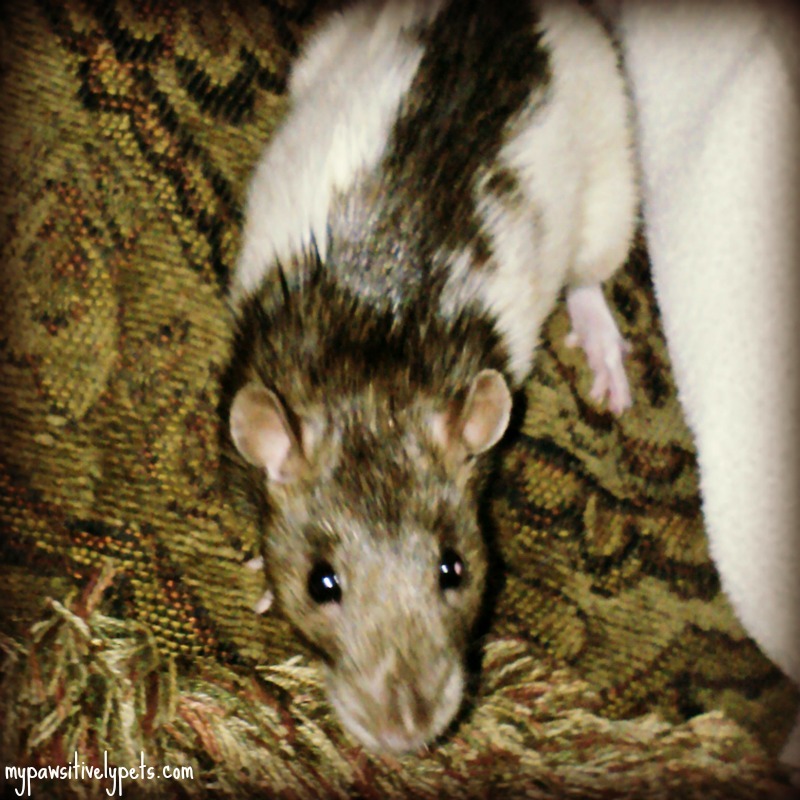 Rat on the loose! BOL Those photos are too cute. You are lucky, Miss Ann...I am the only terrier who doesn't chase rats (Ma thinks I am nuts). 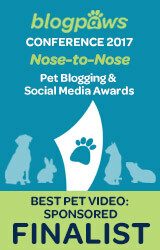 Hehe - I want to see another blog that does it first! I have something planned to post tomorrow about it though because I really want to use it! Oooh, then I will pop by tomorrow to see your post...and the responses you get!! Oh,, too cute! 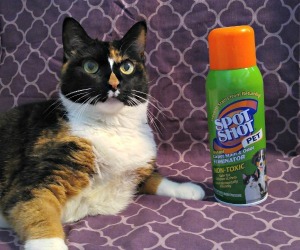 Now put that camera down and get petting! Awwww Niblet in the lime light. Hi Nibblet! You're so cute and sweet. Happy Wednesday! Niblit looks a lot like our school pet rat Binx. Cute shots!